This is going to be the core of all the routes around the Caldecotte and Walton area and all the other routes will inlude part of this route. 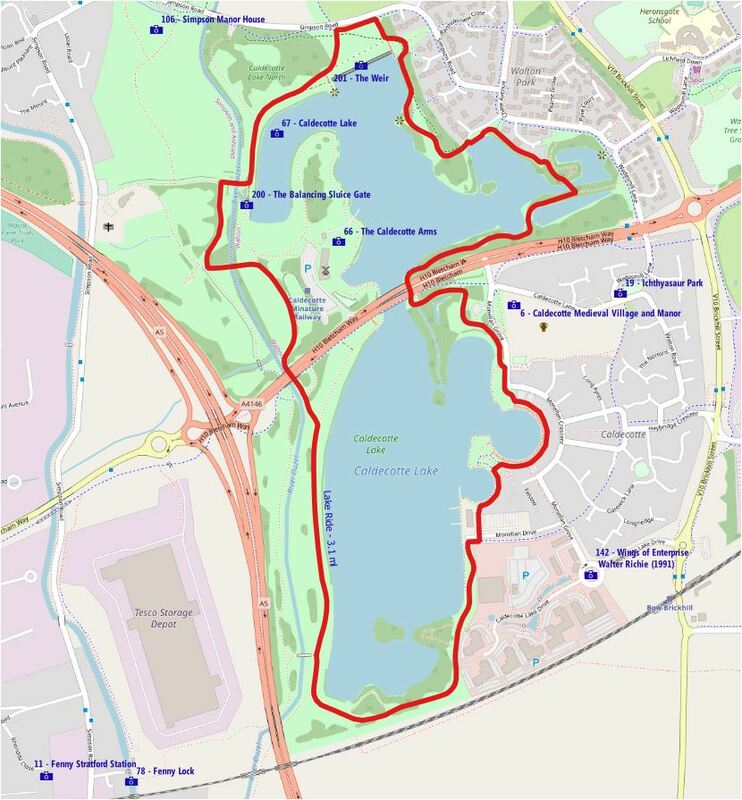 The circuit of the lake is 3.1miles (5km) while most of the routes are between 5 and 7 miles including a portion of the Caldecotte Trail. If you want to extend your ride simply add the remaining circuit of the lake to the trail you’re riding – this will add about another 2 miles. 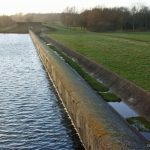 As an alternative why not combine two or more these trails into longer routes – Woughton/3 Lakes/Caldecotte will give you about 11 miles while Willen/Caldecotte/Waterhall will give you a ride all along the Ouzel and about 16 miles. I would like to describe the route so I need to choose a way round. I’m not sure why but I usually do this route anti-clockwise so get your bikes off the car and make your way to the bottom end of the car park. This path will join the route heading south under the H10 (Bletcham Way) and with the Ouzel on your right. Under the bridge go straight on up a small hill to join the main path around the lake. Here you get some great views of the southern lake. Towards the bottom of the lake note that there are two paths on your right. The first bridges the Ouzel and the second veers off to follow the river under the A5 and the railway. Remember these because we’ll use them in other trails. Keep on the main path round the bottom of the lake passing the fit-trail equipment (right) and a small path that leads to a bird watching point (left). 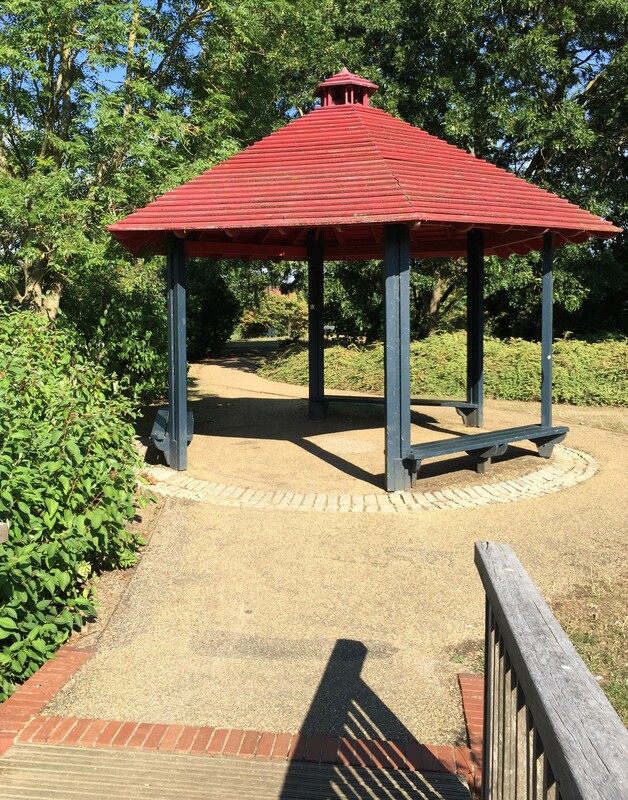 As the path starts to turn north back up the lake you’ll notice, on the right, an outdoor table-tennis table and a small path which leads to Caldecotte Lake Drive and the Caldecotte Business Park. 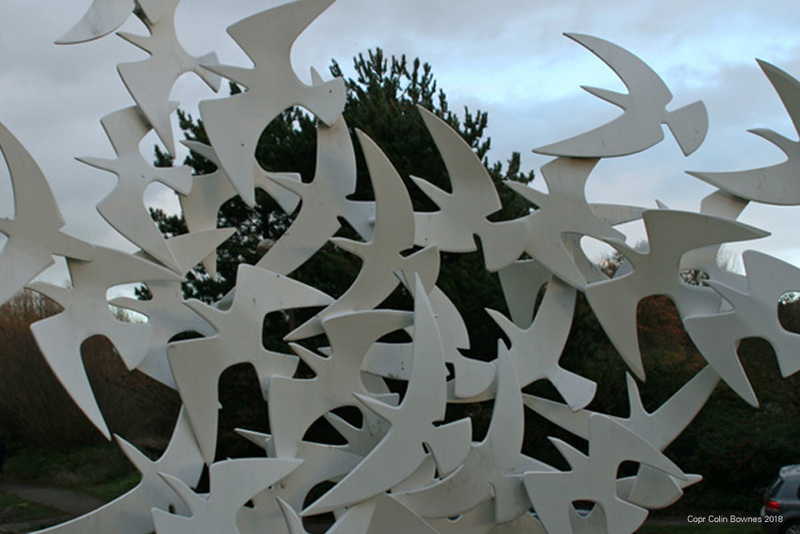 You might like to divert along here to have a look at a great sculpture by Walter Ritchie – The Wings of Enterprise – which is found in the middle of the Water Mill Roundabout. 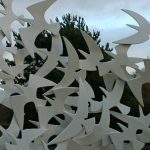 It’s one of hundreds of pieces of public art to be found in MK – one of my personal favourites. 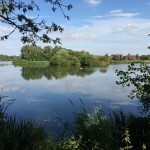 Returning to the lake, ride on the redway through the car park of the Water Sports Centre then around the Monellan Crescent Bays (with their views of the lake to the north west). As you get to Monellan Grove you might like to take another diversion to your right, through a play area with, apparently, a field on the left. This field is actually the location of the abandoned Caldecotte Medieval Village and Manor House and is an ancient monument. You can still see the shapes of houses and streets. Continue until the redway crosses Caldecotte Lane and, on the other side, you’ll find the Ichthyosaur Park. 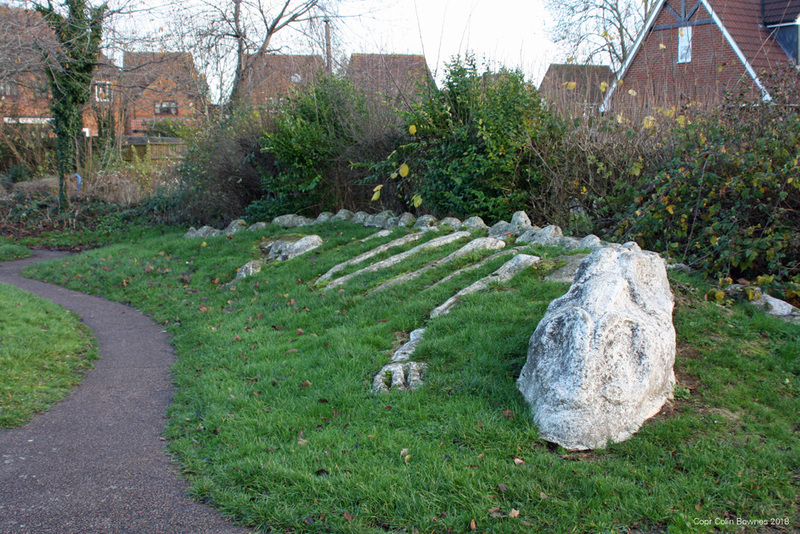 Here the remains of Big-Eye – The Milton Keynes Ichthyosaur were found. It’s 120m years old. 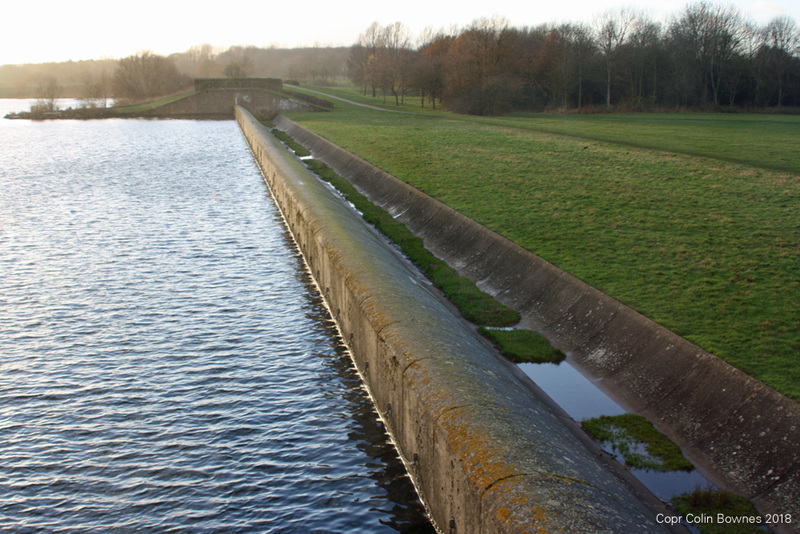 Originally called the Caldecotte Monster, it came to light in 1982 when contractors were excavating what was to become Caldecotte Lake. 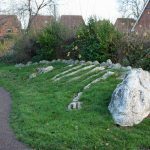 Ichthyosaur Play Park – where The Caldecotte Monster was found. It was a 5m long ichthyosaur belonging to the genus Ophthalmosaurus, a group of ichthyosaurs dubbed Big Eyes due to their 23cm diameter eye sockets. To celebrate this the site was transformed into a dinosaur themed play park with information boards about the find. 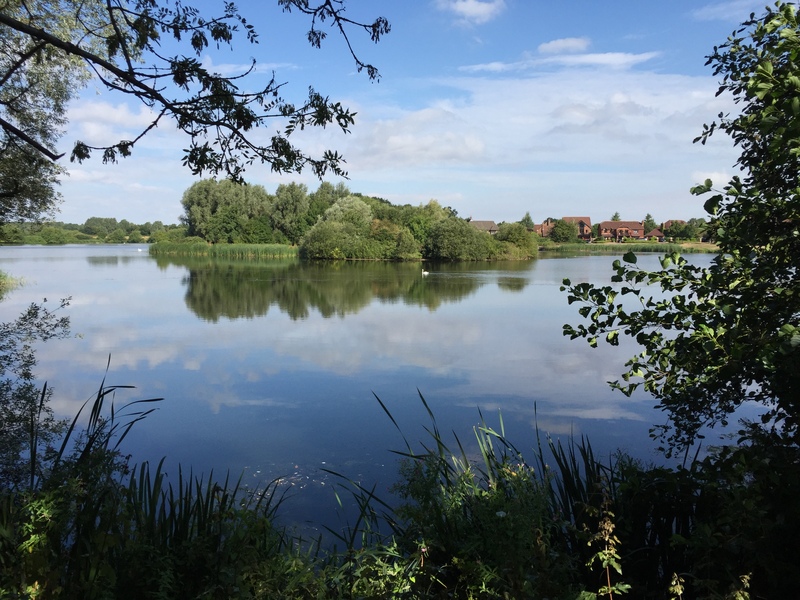 Return to the trail along Caldecotte Lane and follow the route around the penninsular and under the H10 – with good views of the windmill across the lake – then round and over two bridges to the decorative shelter. This area has bird hides with excellent views across the bay. It’s actually where the original Caldecotte Brook used to join with the Ouzel before the creation of the lake. The brook still runs into the lake here. Carrying on along the trail you’ll come to a strange straight structure across the north end of the lake. 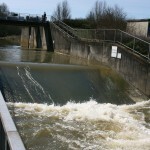 This is the lake overflow or weir. 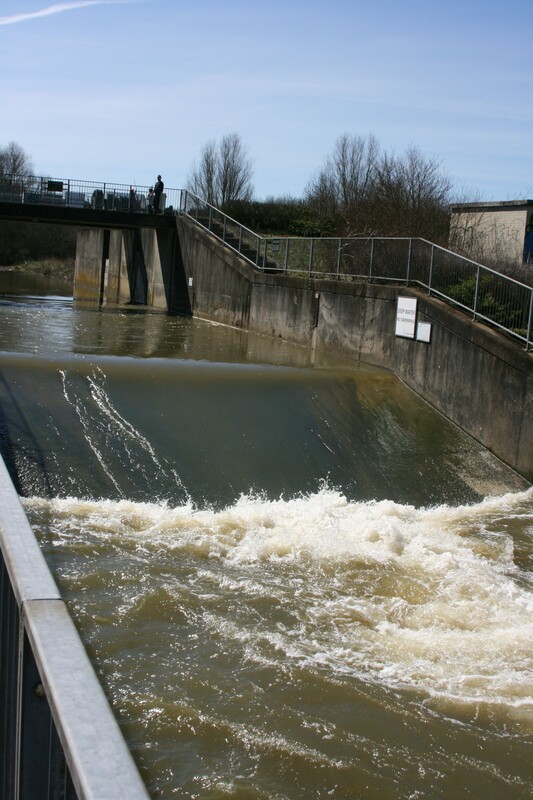 In times of flood the lake is filled but if there is more water than the lake can take it will overspill via the weir and run down into the ouzel valley and spread out. You can see that the whole area downstream is bounded by dykes and kept clear of housing – this is a flood plain! sluice gate that controls the level of the lake. You can go straight ahead here but if it’s wet you’ll get muddy, so cross the Ouzel bridge and take the next left down the hill and up until you come to the left-turn over the bridge that will take you back to the Car Park. So there you are. 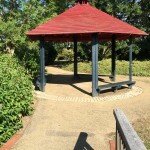 A tour of the Caldecotte Trail.